How’s the Economy? Count the Cranes to Find Out. Who Are the 2019 Fresno Athletic Hall of Fame Inductees? While American gun rights are enshrined in the U.S. Constitution — something that doesn’t translate to most countries around the world — the group’s track record of aggressively shaping the debate has nevertheless turned it into the go-to group for other gun-rights activists outside the U.S. There are several reasons why the NRA doesn’t confine itself to the U.S.
For one, it’s helpful to American gun makers if other countries make it easier for citizens to buy and possess firearms, opening up new markets. And when other countries ease restrictions, it helps bolster one of the NRA’s most prominent messages. “They can make the argument, you know, ‘Look, other nations don’t like stricter gun laws either,’ because one of the debate points that has hurt the NRA is that pretty much every other democratic nation has stricter gun laws than us and lower gun ownership,” said Robert J. Spitzer, chairman of political science at the State University of New York at Cortland and a longtime watcher of the NRA. Working with gun-rights activists in that country, the NRA helped shape the debate. A turning point, some observers have said, was a television ad that flashed scenes from key moments in history: Tiananmen Square, the fall of the Berlin Wall, Nelson Mandela’s release from prison. The ad emphasized gun rights as a fundamental right to freedom and liberty. 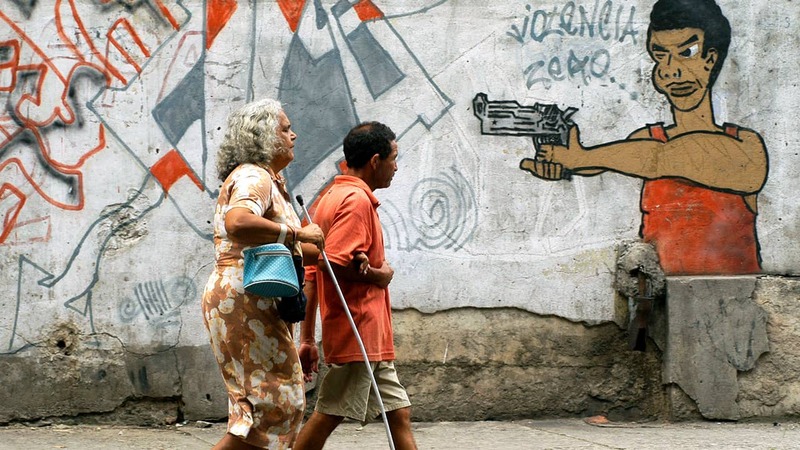 Brazil has a low rate of gun ownership — an estimated 2 million among its more than 200 million residents — and gun control was backed by the Roman Catholic Church and other powerful forces in the country. One poll a month before the referendum put support for it at a stunning 73 percent. It was rejected handily. Canada’s own gun-rights movement has been closely tied to the NRA since the 1990s. In the decades since, NRA leaders have traveled to the country to warn that gun restrictions would interfere with a citizen’s right to bear arms, though that country does not consider it a constitutional right. The NRA also has worked closely to advise such groups as the Canadian Shooting Sports Association on how to lobby against that country’s registry of gun owners. It took more than a decade but Canada’s gun registry was ultimately repealed in 2012. Gun-control advocates weren’t surprised to hear the NRA’s advice heard in the Al-Jazeera video on how to respond to mass shootings. “It’s the two-step playbook: It’s one, silence, and two, if the pressure gets too hot, to deflect by arguing that we shouldn’t politicize a shooting by talking about policies that could prevent these shootings from happening in the future,” said Peter Ambler, executive director of the gun-control group named after former Congresswoman Gabby Giffords, who was seriously injured after being shot during a constituent meeting in 2011.